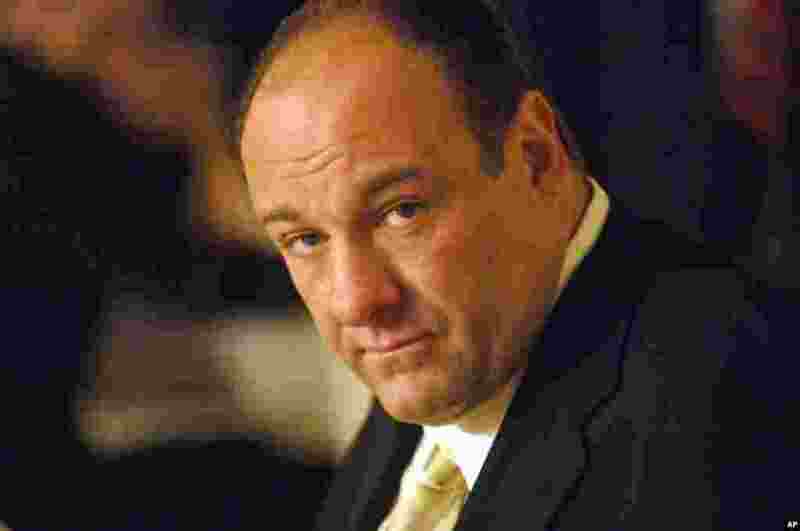 U.S. film and television actor James Gandolfini, who portrayed an emotionally vulnerable crime boss on the groundbreaking television drama "The Sopranos," has died at the age of 51. 1 This HBO publicity photo shows actor James Gandolfini in his role as Tony Soprano. 2 Actors Tony Sirico, who plays Paulie Walnuts and James Gandolfini, who plays Tony Soprano, shoot a scene from the mafia drama, "The Sopranos," outside the fictional Satriale's pork store in Kearny, New Jersey, March 21, 2007. 3 Cast members from "The Sopranos" from left, James Gandolfini, Edie Falco, Jamie-Lynn Sigler and Robert Iler applaud at the 59th Primetime Emmy Awards, Sept. 16, 2007. 4 James Gandolfini and Edie Falco display awards they received for their respective outstanding performances by lead actors in the drama series "The Sopranos" at the 9th annual Screen Actors Guild awards in Los Angeles, California, March 9, 2003.